Social media optimisation (SMO) is the term used to describe the marketing of a company on social media websites. Some people are passionate about social media; others quite simply ‘don’t get it’. Love it or hate it, there is no doubt social media optimisation is not only effective, it is also an essential internet marketing and SEO strategy. Like many other SEO initiatives, it takes time to understand and implement a social media campaign. As the word ‘social’ suggests, it is an interaction between like-minded people. Social media has transformed the way companies promote their services online, giving them access to people and markets which were previously inaccessible. 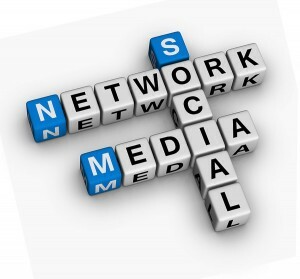 The world of social media is dynamic and fast moving. This means, while having a social media strategy is essential, you have to dedicate a lot of time and effort to its management and keeping up-to-date with developments. That’s why many savvy businesses rely on a social media strategist to manage their campaigns. Our SEO Service Pros’ social media strategists have a wealth of experience in SMO, helping clients increase awareness, grow their market share and reap a good ROI (return on investment). If you’re struggling to make sense of the world of social media or simply don’t have the time to spend on it, help is at hand. Why not give us a call now on 0845 601 2237 or send us your social media optimisation enquiry. Newer sites such as Google+ and Pinterest have started to generate a strong following. Our social media strategists watch all the latest developments carefully. We will spend time with you before helping plan your SMO strategy. If your social media optimisation is to be successful, measurable goals must set and your SMO must be integrated with other elements of your SEO strategy. Like all our SEO services, you are in the driving seat when it comes to choosing how much assistance you want with your social media optimisation. You choose the amount of help you need, and where and when you need it. If you have any queries about your social media strategy, why not send us your enquiry. Better still, call us today on 0845 601 2237 – we’ll be pleased to help.